19 Cute and Fun Knit Animal Hats for Everyone! 19 Cute and Funny Knit Animal Hats for Everyone! I just came across the coolest, most fun, unique, awesome and amazing knit animal hats I have ever seen! Knit animal shaped hats are perfect for a day out in the snow or just a regular, but very cold, day out! You can have a bunch of cool animal hats and wear a different one each day! Knit hats are soft, warm, cuddly and just perfect, don’t you think? Off with the boring black or brown wool hats and in with the colorful, fun and unique knit animal hats! So what is your favorite animal? 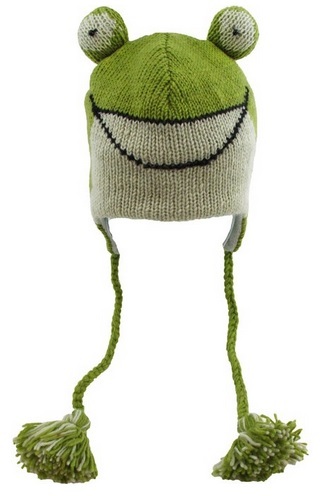 *This frog wool hat is one of my favorites!! I love the green color and his happy face! Perfect knit animal hat for me! It makes an excellent gift to someone! A happy buyer said it’s ‘frogstatic’! Comfortable, adorable, fits well, fun, and needless to say, the perfect winter gift idea for a frog lover! Cute Monkey Face Brown Wool Hat! 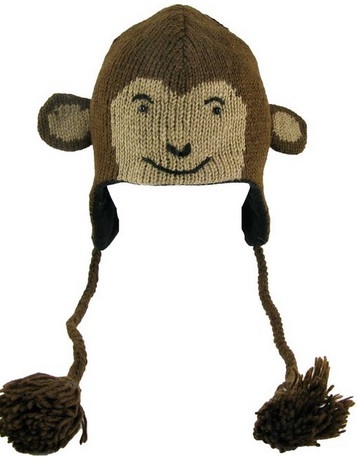 This cute and adorable brown monkey face hat is for you! 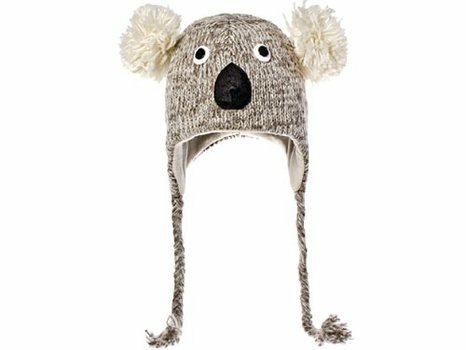 Cute knit animal hats make awesome winter gift ideas for everyone in the family! I bet the kids are gonna love this idea! Fun Moose Face Wool Hat! Best Knit Winter Animal Hats with Ear Flaps and Poms! To all moose lovers out there! This is a funny moose hat! 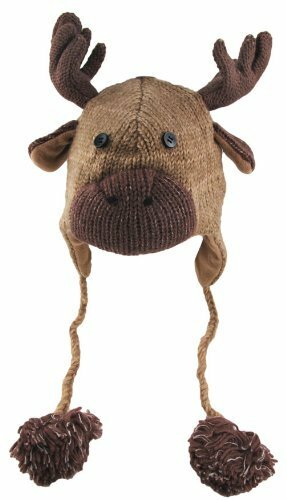 Moose hats are among the most bought funny knit animal hats around and this one is awesome! Happy buyers say it is such a fun way to keep their heads warm! What a cute owl knit hat this is!! I love her clueless expression! Perfect owl gift to someone as well! 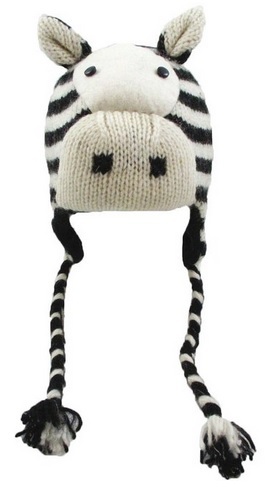 Funny Zebra Face Wool Hat! Another cool animal knit hat! This zebra hat is very funny! I love her scared face! Will get you nice compliments everywhere you go! Very Cool Dinosaur Fleece Hat! I love this fun and colorful dinosaur wool hat! Definitely one of the most unique fleece animal hats around! Colorful Rainbow Stripes Sock Monkey Knit Hat! 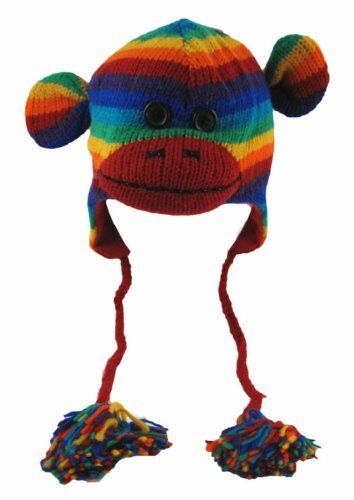 Gorgeous rainbow sock monkey knit hat for sock monkey fans! Perfect for little girls and girly women like myself! Will definitely add colors to your day and everybody else’s day too! Rick, Rick, Rick, Ricky, Ricky raccoon!! 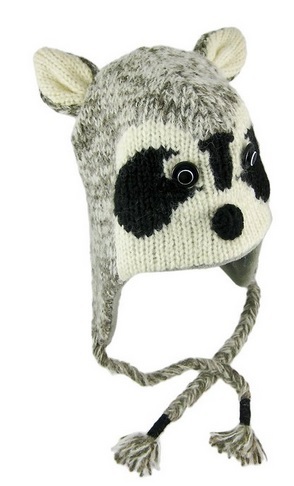 If you love raccoons you are going to love this cute and realistic looking raccoon wool hat! 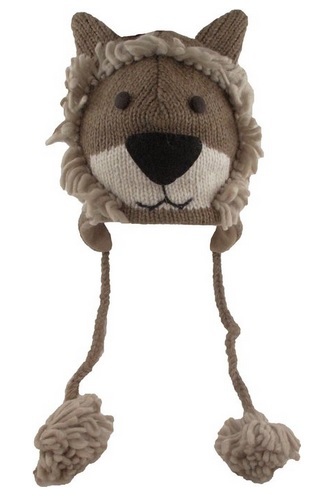 What a cute happy lion face wool hat! This is one of the cutest knit animal hats in my opinion! What a great gift idea too! Adorable Koala Face Wool Pilot Hat! Cutest Animal Knit Wool Hats for Winter! This is for all the koala lovers out there! Perfect koala gift to someone too! 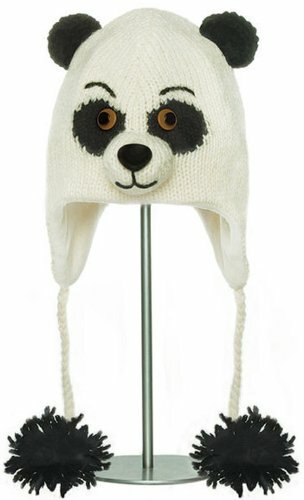 Panda hats are among the most popular animal hats around! Everyone wants to have a panda hat, right? They are cute, soft and cuddly! 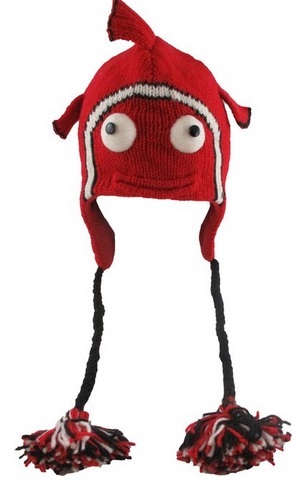 Cute Penguin Face Wool Pilot Animal Hat! 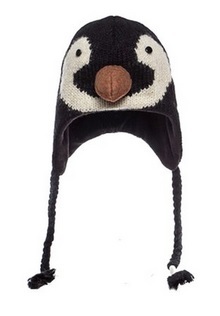 What a cute penguin face hat!! It fits very nicely and it is very warm! A happy buyer said it looks just like the picture! Very Cool Blowfish Red Wool Hat! I love this fish knit hat! Will look awesome on a cold, snowy day! And it will definitely stand out! 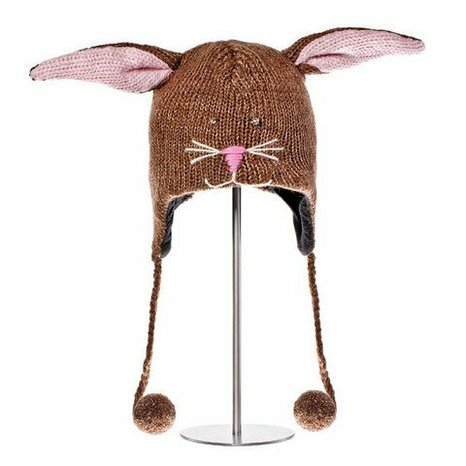 Cute Bunny Fleece-Lined Wool Hat with Ears! His face is so cute!! 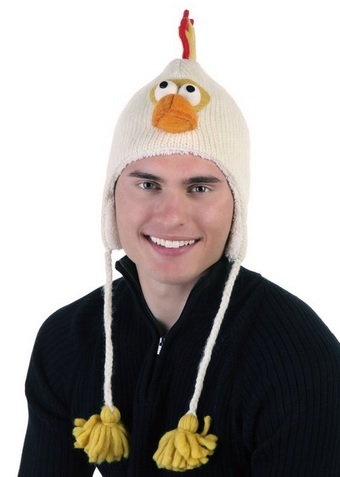 Fun Chicken Fleece-Lined Wool Pilot Hat! Feeling like a chicken today? Knit animal hats are the best kind of wool hats to wear this winter! Besides being very warm and cozy, they are fun!! Chicken lovers, this is your hat! 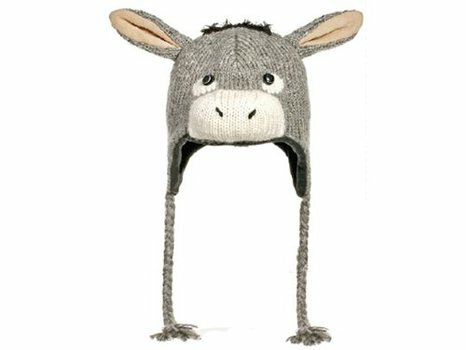 Who wants to wear a funny donkey wool hat? Wear funny goofy animal hats! 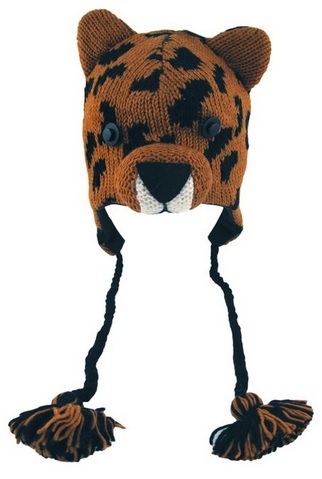 What a fun and unique leopard face animal hat! Perfect to wear on a cold snowy day! I love these fun animal hats!! Cute Giraffe Fleece-Lined Wool Pilot Hat! Of course I would never forget my fellow giraffe lovers! 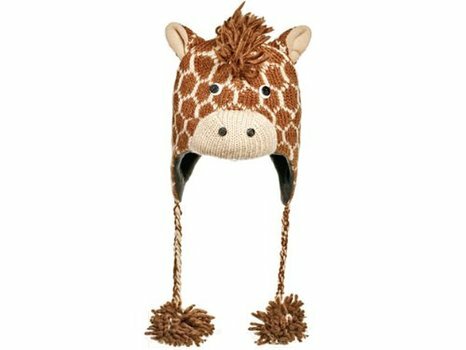 A cute and cozy giraffe fleece hat! Awesome Elephant Face Wool Hat! 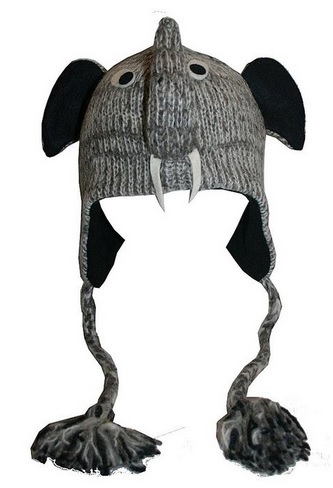 I finally found an awesome elephant face wool knit hat too! *If you want a different animal, there’s also 30 other fun fleece animal face hats besides this cute elephant! You will even find a fun bull and buffalo knit hat as well! Like I said before, these make excellent Christmas gift ideas for everyone! Fun Fuzzy Plush Animal Slippers! Fun Squishable Round Pillow Animals!